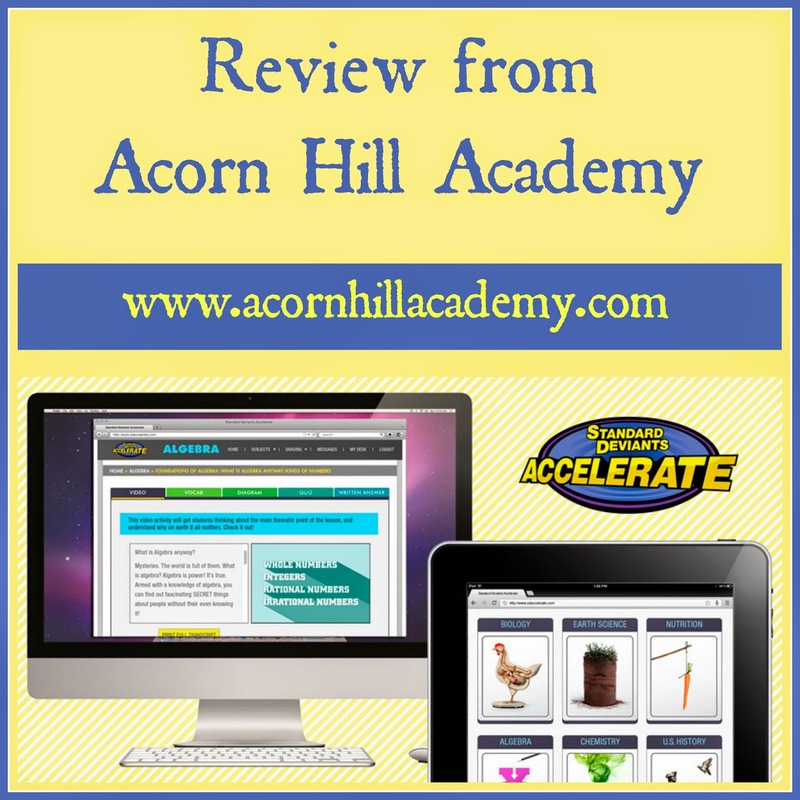 We were given recently the opportunity to review Standard Deviants Accelerate Homeschool Courses through the Schoolhouse Crew. This was good timing for us, as they have a biology course, and we are studying biology this year. The topics covered in SDA's course videos seemed as though they would go along with what we're studying quite nicely. We received a one-year subscription, with the ability to try out any course, for the purpose of our review. We used the regular biology program. I had my 8th grader watch the videos and do the lessons. Each lesson has a video, vocabulary section, quiz, and a written answer. Some sections have a diagram, such as the ones we saw of an atom and a cell. Each video is about 10 minutes long. There is a text box available for the student to type notes and save them online. I had my daughter write notes in her science journal, because there is an important connection between writing something down and retaining knowledge. There is an option to print the full transcript of the video, which I liked; it made it easier to take notes and review the information once the video was over. Also, if you have a child who prefers reading to listening or watching, they will appreciate that feature. The vocabulary list has an audio clip available for each word, and the list with definition is printable. 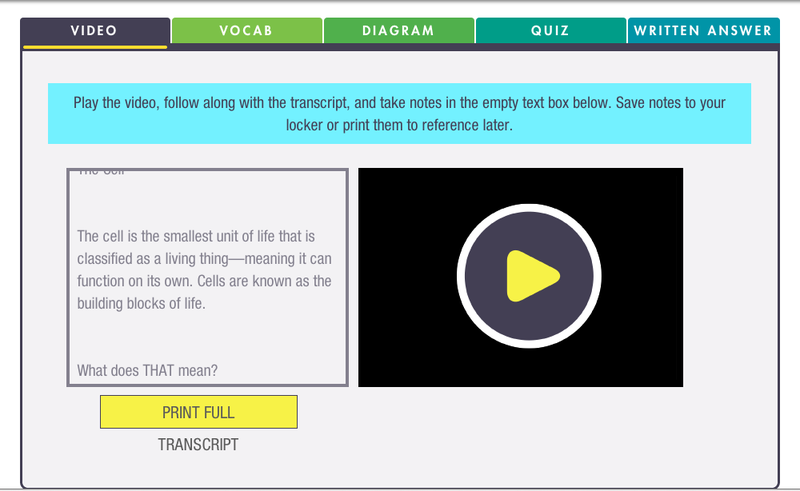 The diagram has drag-and-drop words to match, and the quiz is multiple choice. Pretty simple. The "Thematic Question," though... That's a different story. For the biology course, the thematic question was "How does form follow function in biology?" Students are instructed to think about this after each lesson, and answer the questions: "How does the perspective of the thematic question inform your understanding of the topics covered in this lesson?" and "How does what you have learned in this section provide new dimensions to your understanding of the thematic question asked above?". I am not quite sure what to make of those questions myself, much less how to explain them to my students. 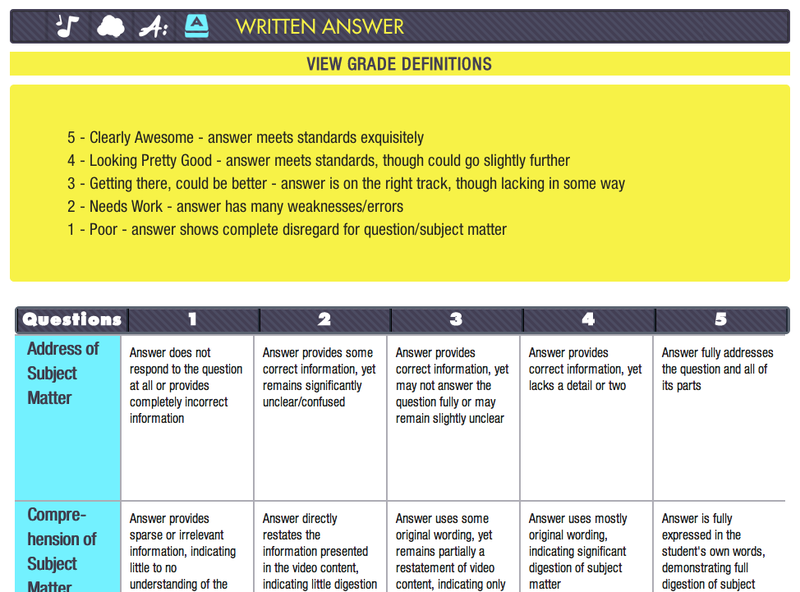 There is a grading rubric for teachers, but any grading would be completely subjective depending on what the teacher thought the answer to the question should be. The good news is that you can skip that part of the program and it doesn't count against the student's grade. The videos are a nice reinforcement to our biology studies. I enjoyed watching them. They reminded me of a PBS program - educational and entertaining. The lessons were short, and therefore easy to fit into our school week. I liked having the diagrams of things like cells for the visual reinforcement. My daughter didn't care for the way the speakers kept changing, rather than having one person present an entire lesson. She also felt that she was being spoken to as a young child, rather than a teenager. She the information was presented effectively, but she found the presentation "annoying." At the end of each lesson, there is a button that says, "Take Me to the Next Topic." That's great, except that it does not take the student to the work that needs to be completed; it takes them to the next instructional video. When I went in to check my daughter's progress, I could not figure out why it showed 0%, until I realized she'd been clicking the "next topic" button. 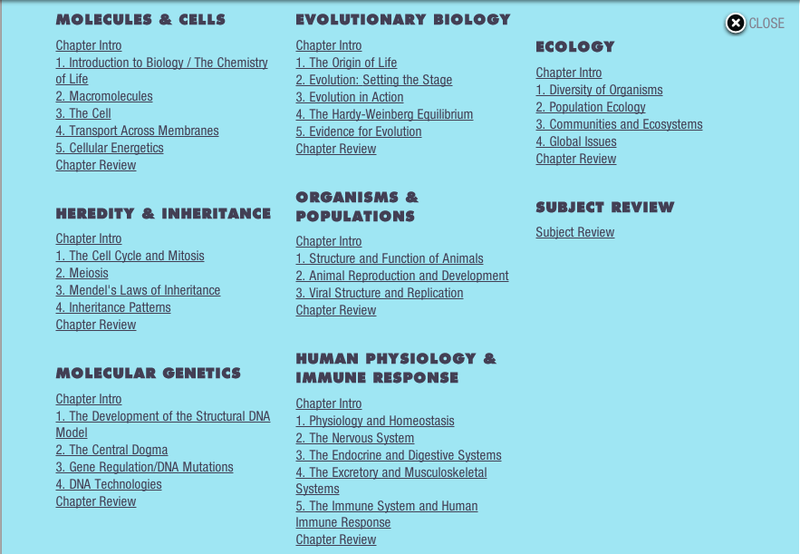 In order to complete the quizzes for each topic, the student needs to click on the tabs at the top. Grades and progress reports are not available in the same place. You have to look in one spot to see grades, and in another spot to see how far along your student is in the course. Nothing indicates lessons that are completed, and there is no ability to stop in the middle of a video and come back to the same place if you exit out of the page. It would seem logical to have the links at least change color once they have been clicked on, or somehow show that the lesson has been completed, or at least begun. The grading process is not terribly simple, and that's one of the things that tends to draw me to online courses - the grading is done for me, thereby taking something off my plate. One note: These are secular courses. Evolution was one of the topics in our biology class. I don't have a problem with that, but it's worth mentioning for those who prefer a creationist approach. Overall, I felt that the biology course was an acceptable supplement. We didn't find this to be one of our favorite online courses, simply because of the somewhat awkward setup. However, if you have a student who is struggling with biology, this would be a good way to reinforce the information they're studying. Regular courses are available from SDA for $99 for a year's subscription, or $24.95 per month. 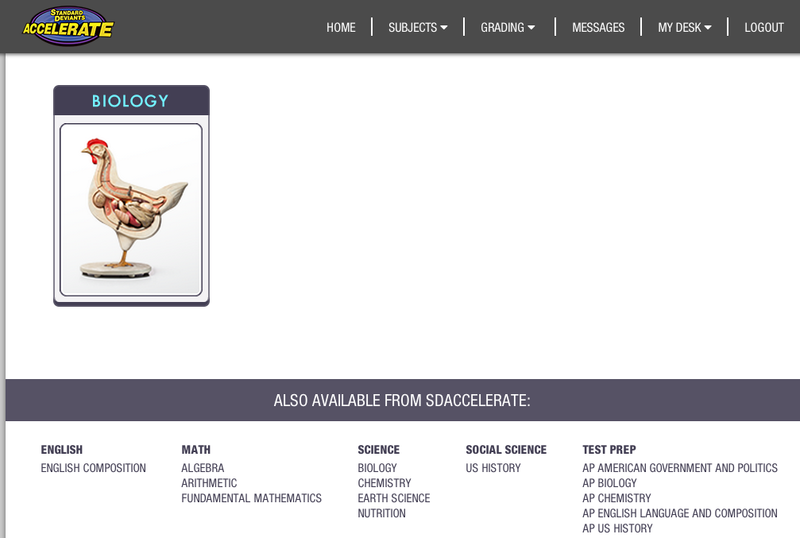 AP courses are available for $14.95 per month, per student. They have a special offer right now - through November 15th, you can get a six-month free trial! Also, if you'd like to learn more about their programs, click here to sign up for a free webinar, during which a live representative will walk you through all the features and benefits of their programs.